Proceeding with the GQG, this question comes from akhi. Cracked by Goyal , sidsen , Ananth , Rohan , bobo , varuns88 , insufferablejake and rajeshvj. Connect: Ada Lovelace, the world’s first programmer. 2. Lovelace’s image can be seen on the Microsoft product authenticity hologram stickers. 2. Microsoft Windows XP? too easy so that is probably not the answer. Therefore idea behind the question is the Ada programming language. Ichbiah was the chief designer. And the movie is about Lady Ada Lovelace after whom it was named. 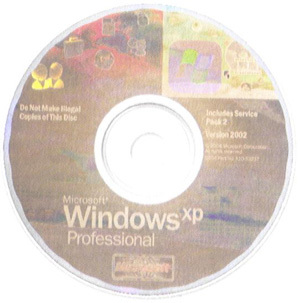 Where does MS Widows XP CD come in? No idea. 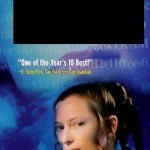 :-( Are there some Ada related images on the CD label? the connect is ada lovelace. windows xp professional was codenamed ada? the third visual is the creator of the ada programming language..
2. Ada Lovelace’s image can be seen on Microsoft’s hologram stickers. 3. 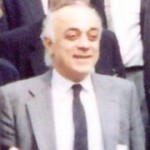 Jean Ichbiah, who headed the team that made up the computer language Ada. Hence, hte connect would be Ada Lovelace. 1 is the movie Conceiving Ada which is about Ada Lovelace,who is considered to be the first computer programmer.Microsoft hologram’s have Ada’s image on it.The programming language “Ada”,created by Jean Ichbiah(3), is named after her. 1. Conceiving Ada, with Tilda Swinton playing Augusta Ada of Lovelace. 1. Tilda Swinton places the role of Ada Lovelace in the movie ‘Conceiving Ada’. 2. Ada Lovelace’s picture can be seen on the MS Product Authenticity Hologram stickers. 3. 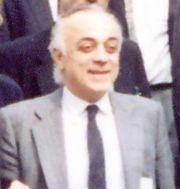 Jean Ichbiah, the chief designer of the programming language Ada.